Located in an expansive 6,000 square-foot space in Wong Chuk Hang, M.int Academy aims to provide an inclusive community that cultivates passion and excellence in classical music. Their team of instructors have been recruited from leading music conservatories around the world; having themselves studied under world-renowned musicians, they know exactly how to foster the next generation of talent. With 15 soundproofed teaching studios, M.int Academy offers one-on-one classes in a range of instruments including piano, violin, saxophone and clarinet; immersive group classes exploring dynamics, tempo and pitch are also available for children aged 18 months and up. Meanwhile, year-round recitals and masterclasses offer the chance for friends and family to see their mini Mozarts in action. Founded in 1977, Tom Lee Music Academy is one of Hong Kong’s most established music learning institutes. Toddlers aged nine months and above can join in on the fun, with programmes that develop listening, rhythm and sensory skills, whilst in-depth instrument tuition courses cater to youngsters from around the age of three up to adulthood. Tom Lee is especially well-known for offering courses that follow the world-famous Yamaha Music Programme, which was created to encourage youngsters to acquire music skills and enhance their personal development in a relaxed learning environment. There’s a whole orchestra of classes for your music prodigies in the making to choose from, encompassing everything from the French horn and trombone to viola and electric bass. If you’ve got a budding Beethoven or Bob Dylan in your midst, Parkland Music Institute can help set them up for musical greatness. Their children’s courses are tailor-made to nurture the skills of youngsters aged between two and a half and eight; programmes include guitar, piano, ukulele and violin, and are designed to develop rhythm, coordination and concentration. For older kids, there’s an even greater course variety—think cello, electric guitar, flute and even beatboxing. 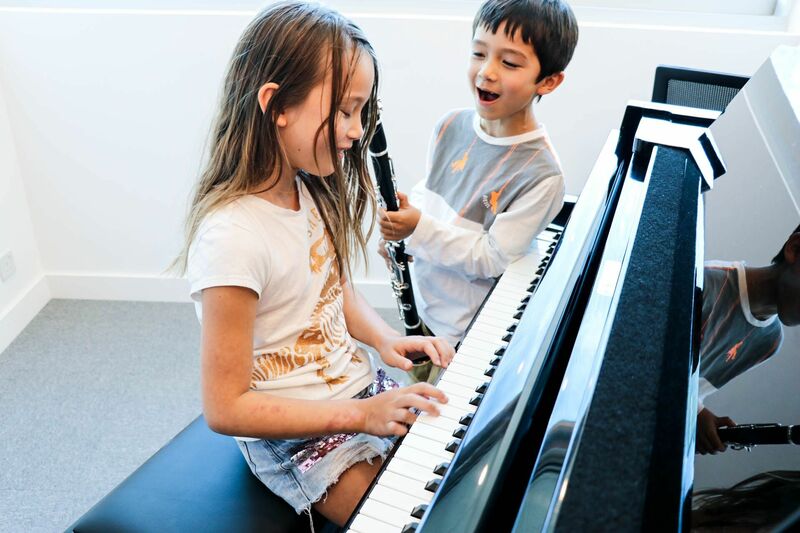 Parkland’s classrooms come equipped with instruments, meaning students can learn to play at no extra cost even if they don’t own an instrument themselves—and with over thirty branches across Hong Kong, there’s bound to be a convenient location for you. Boasting over 30 years’ experience in tuition, Parsons Music Academy offers an extensive range of music learning programmes—with courses introducing children as young as one to the basics of rhythm. Dedicated instrument courses are aimed at youngsters aged three and above, including piano, violin (using the Suzuki method of teaching), harp and drums; traditional Chinese instruments like the guzheng and yangqin can also be taught to children from the age of five. Parsons’ all-round learning ethos sees students consolidate their music and performance skills with competitions and assessment recitals; internationally-acclaimed teachers are also regularly invited for seminars and masterclasses to help refine students’ technique. Your kids will be giving Hong Kong Philharmonic a run for their money before you know it! If you’ve got a little Lang Lang or mini Vanessa Mae in the house, Best Music Academy could be just the place to lead them into a lifetime of harmonious opportunities. Early childhood programmes here begin from infanthood, introducing little ones to a variety of songs and instruments to grow their love of music. Private violin, viola and piano classes start from the age of four, with students learning how to read music and compose their own songs; parents themselves can join lessons to practice with their child, creating a bonding learning environment. Best Music Academy also arranges frequent public performances—with a particular focus on community service—for students to showcase their skills.